Whether you are a parent, teacher, or homeschooler picking out really good books for kids to read can be difficult and time consuming. 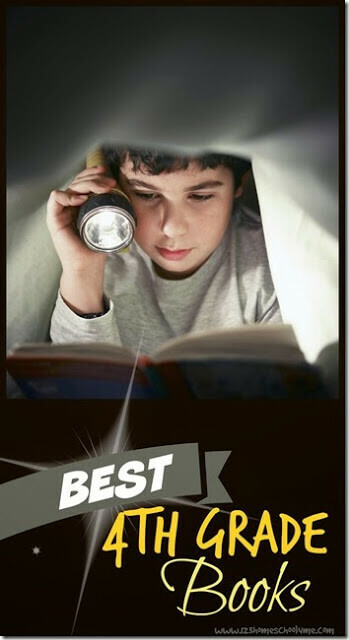 I’ve done all the work for you by sharing the top 30 books, the best of the best 4th grade reading list. This is our favorite book list. Hopefully by now your 4th grader is a confident reader who enjoys reading. If not, make sure they are reading books at their level (if they aren’t ready for a book it is just going to be a frustrating experience) and reading good books. Sometimes kids think they don’t like to read because they aren’t reading great books. With so many books out there sometimes it can be difficult to discern okay books from good books from GREAT books! HINT: Try using one of our handy Reading Comprehension Bookmarks (any book: fiction or non fiction) to ensure your child is understanding what they are reading! Books are listed by reading level for your convenience! So when your child starts 4th grade (or is at a 4th grade reading level), just start reading books that interest them from the top to the bottom.